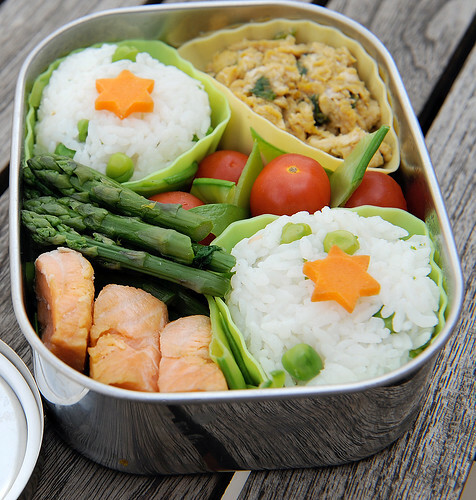 To round out Back To School Week, here are my top 10 rules for bento making. They are the rules or philosophies that guide all the content that you see on JustBento. A version of these rules appear at the top of The Just Bento Cookbook too. They’re the rules I try to live by in my daily bento life. 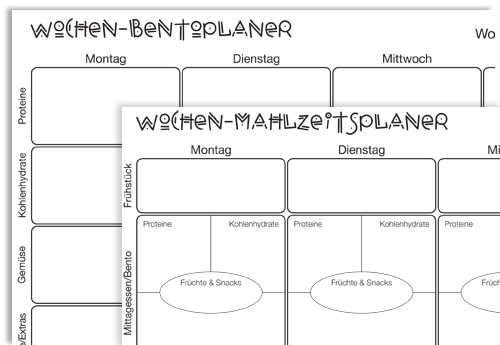 The Weekly Bento Planner and Weekly Menu Planner with Bento printable forms have both been downloaded thousands of times. Now, they are available in German too, thanks to Antje. She has also offered to create other language versions too, if she is provided with the translations. So if you’d like to see the planner forms in your language, please download the original forms from their respective pages (Weekly Bento Planner link: Weekly Menu Planner with Bento link) and send in your translations to maki at makikoitoh dot com, and I will forward them to Antje. Der Wochen-Mahlzeitsplaner und der Wochen-Bentoplaner, welche schon tausende male heruntergeladen wurden, sind nun in deutscher Sprache verfügar; vielen Dank, Antje! 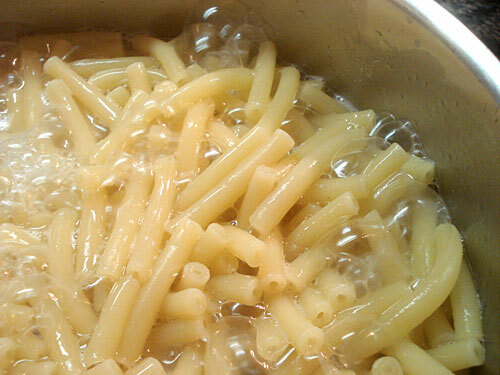 A few weeks ago, there was an article in the Food section of the New York Times about cooking pasta in a reduced amount of water (registration required), written by Harold McGee aka The Curious Cook. (In case you don’t know, Harold McGee is a very interesting food writer, who approaches cooking from a scientific angle. If you are of a geeky bent or love reading about the hows and whys of food in general, I highly recommend his book On Food and Cooking.) The gist of the article is that it’s possible to cook pasta in far less water than is usually recommended, and that you can even start from cold water!